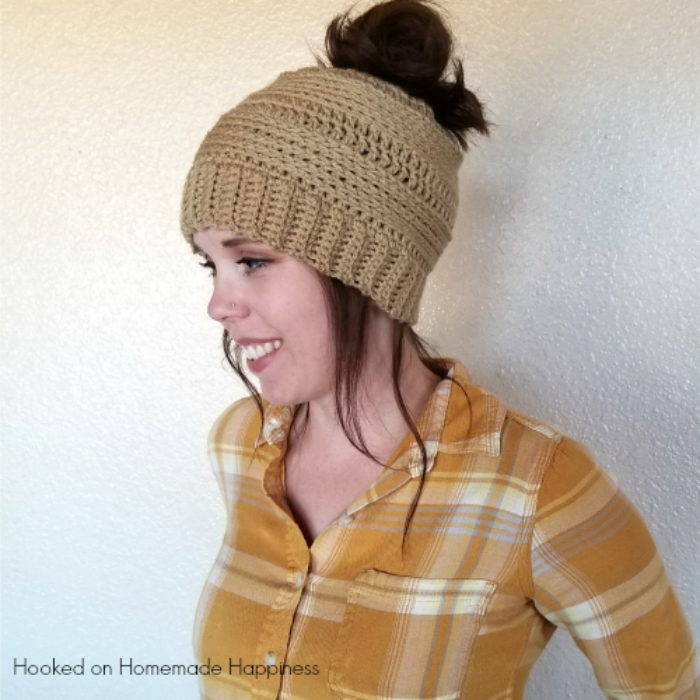 Anyone with long hair can appreciate a Messy Bun Beanie! 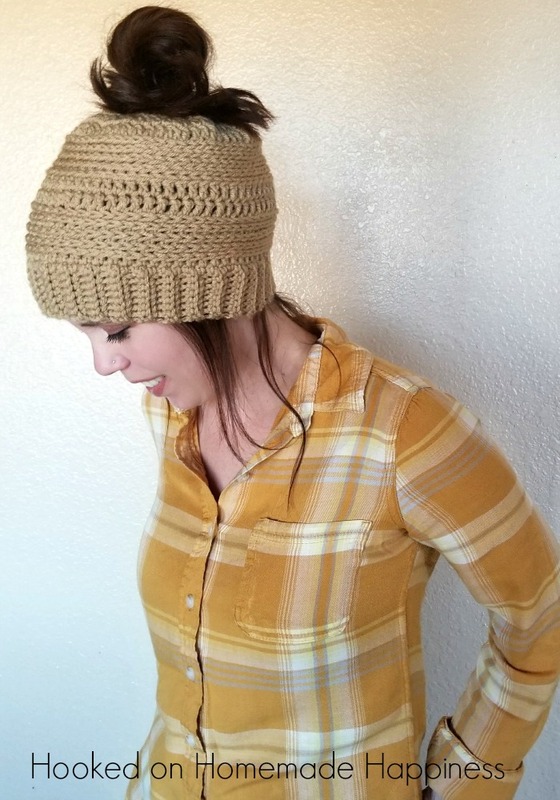 You can wear a ponytail AND a hat! What’s not to love? 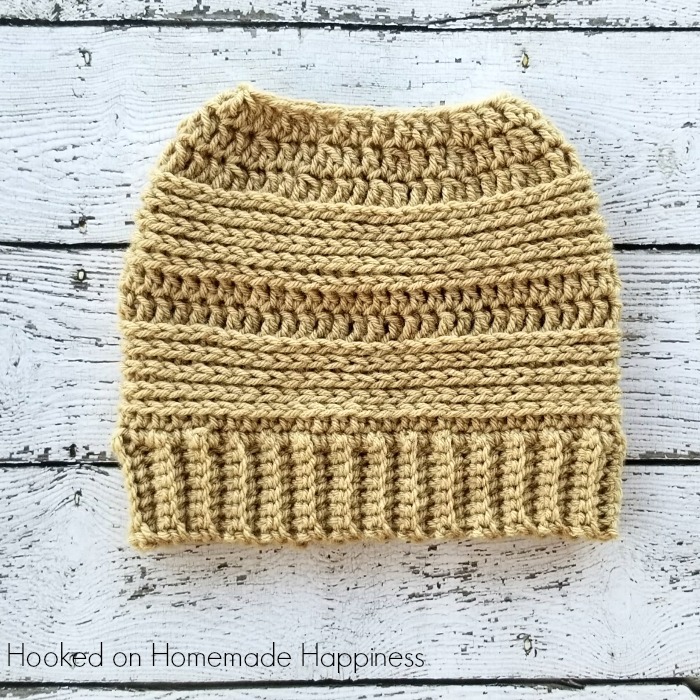 This pattern is great for a last minute gift! By using a combination of simple stitches, this touch of texture is easily created. Crocheting in the 3rd loop of half double crochets is one of my favorite techniques. It makes a really cool stripe that looks almost knit like. 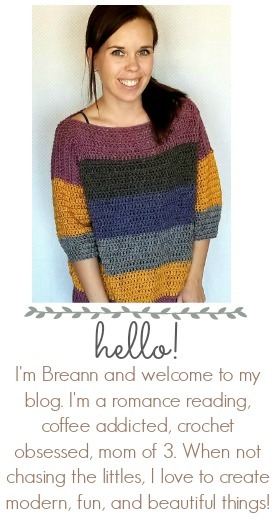 This pattern is available as an inexpensive, clearly formatted, PDF instant download in my Etsy shop or Ravelry shop! Hi this patter is lovely! But i dont understand the hdc in each 3rd loop for row 7. Do you have a video explaining this? Thank you? This is so pretty. I’d love it as a full beanie version. Is there an easy way to finish it off as a full beanie? Your designs are lovely. Thank you SO much! I have enjoyed poking around your blog. You have some beautiful work! Thanks for sharing. I would love to make this for a friend’s daughter who is 13 years old. Can you please give me an idea of how to modify the pattern to fit her? Thank you so very much. THANK YOU FOR THE PATTERN! I look forward to making this hat. I think there will be a seam in the back. Is there a way to minimize the unsightly seam?